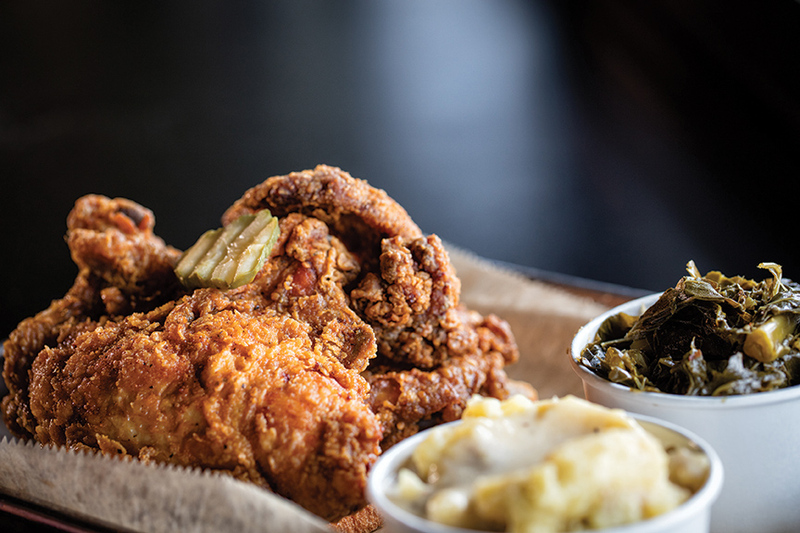 Southern brings spicy chicken to the Midwest, and diners are flocking to it in droves. Fried chicken—the omnipresent American bird of choice—may well be the most difficult simple food to prepare. Many a restaurateur has tried and failed, but it’s Chef Rick Lewis whose Southern chicken restaurant is causing the latest flap. “I feel like nobody was trying to be true to the chicken,” says Lewis, who made his culinary start in bar fare and comfort food. 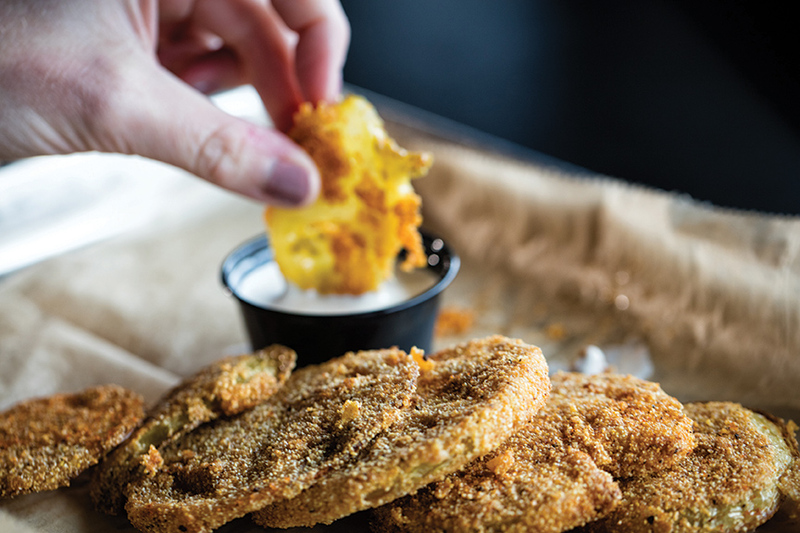 “It was either too floured, too complicated, too breaded or too dry.” After eating his way through every dive and fine diner in Nashville, the epicenter of fried chicken, he picked up tips from the experts to nail down his own version of the specialty. Lewis opened his hot chicken joint in Grand Center last year, and St. Louis hasn’t stopped clucking about it since. While Southern’s chicken has a robust kick, Lewis prefers to let the flavor of the meat do the heavy lifting. The bird is first marinated in a lemon-beer marinade and spices (Lewis blends them in-house), which provides the same acidity as buttermilk without the thick coating. He spices the chicken and flour with habanero and cayenne peppers and lots of garlic, and fries in spicy oil when he needs to amp up the heat; everything gets a final dusting of spices after cooking, just for good measure. And by buying hormone- and antibiotic-free chicken in high volume and keeping the Southern menu simple, Lewis can serve a packed house quickly day after day, while prices stay at a modest $1.75-$3.25 per piece. Even his entrees max out at $15. 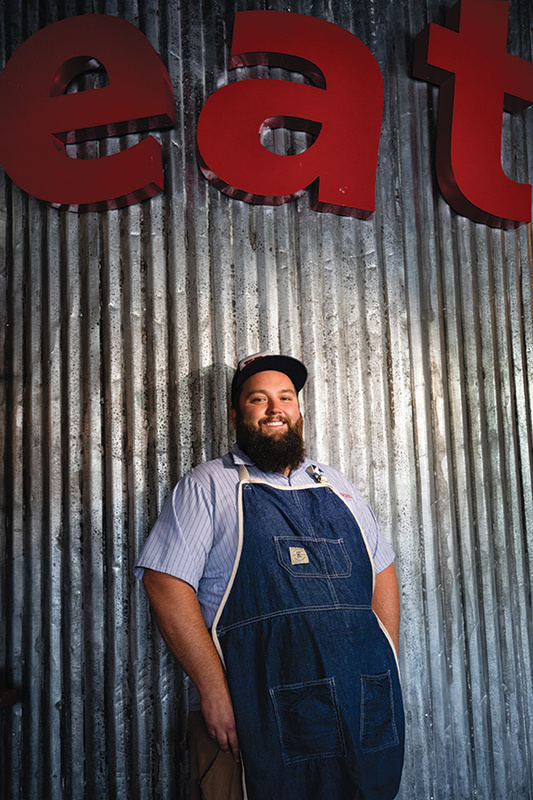 Chef/Owner Rick Lewis of Southern will offer some of the eatery’s signature flavors in these four dishes at the January Cooking School on Tuesday, Jan. 10, from 6:30-8:30 p.m. at Ferguson, Bath, Kitchen & Lighting Gallery from 6:30-8:30 p.m.
Fried Chicken: Chicken is marinated in lemon juice, beer and spices, rubbed with a spice blend, dredged in spiced flour and fried in spicy oil for extra kick. Sense a theme here? Wine pairing: Georges Duboeuf Beaujolais-Villages 2015. Collard Greens: Chef Rick Lewis’ greens get rich flavor from pork belly he cures over cherry wood, and smoked chicken stock from his neighbor and partner, Mike Emerson of Pappy’s Smokehouse. Wine pairing: Two Angels Sauv Blanc 2015. Buttermilk Biscuits: Dry mix is cut with lots of butter, drawn butter and plenty of buttermilk. “The dough is really almost halfway between a dough and a batter,” says Lewis. 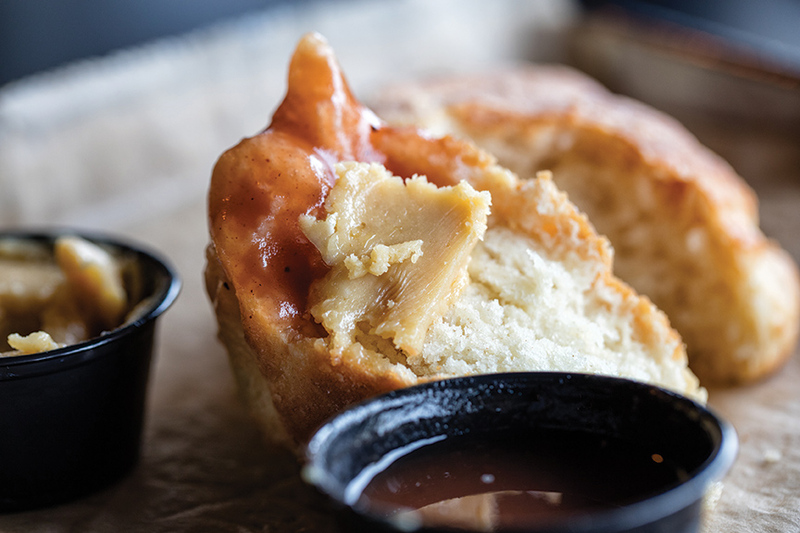 Biscuits are cut large and baked until the crust is browned and crispy, and the inside is fluffy and tender. He serves them with sorghum molasses or local seasonal jam.